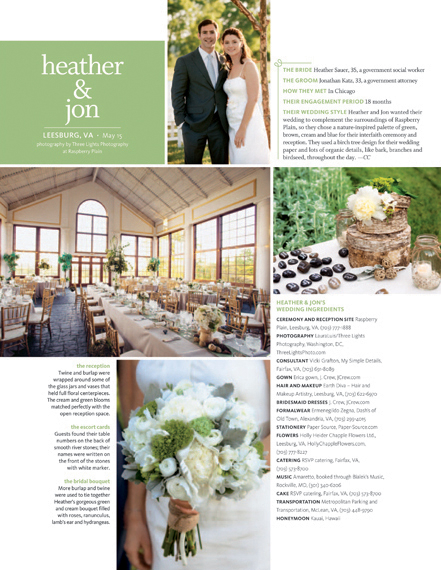 We are so pleased to share the wedding of Heather and Jon which was featured in the new issue of The Knot. Many thanks to Three Lights Photography and event designer Vicki Grafton of My Simple Details for making this such an awesome and note worthy event. 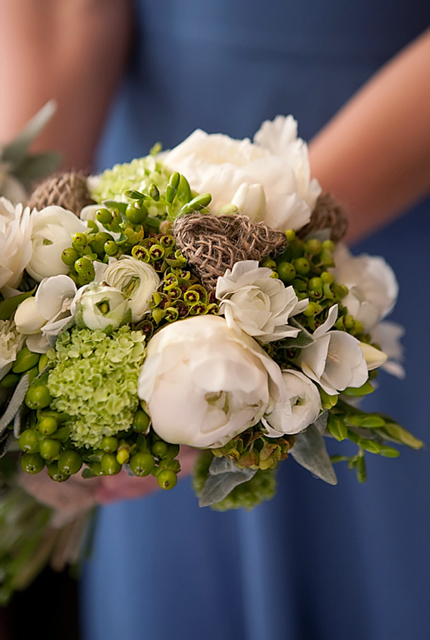 Our Holly Heider Chapple bouquets were truly delightful and inspired. but the pods were unable due to season, so I created mini burlap clusters to mimic them. I thought my little burlap wanna be pods were freaking awesome. 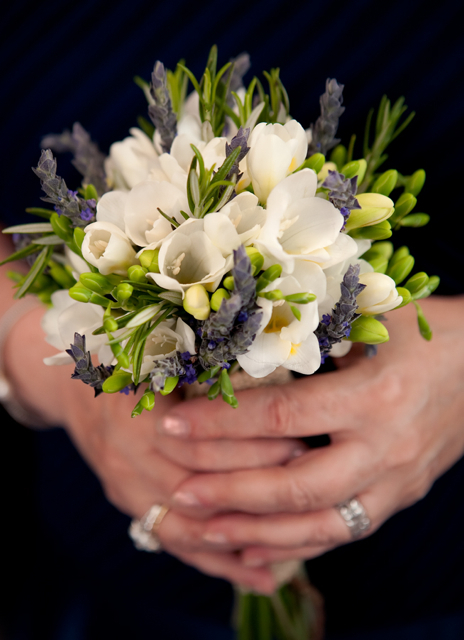 Mothers were given bouquets of lavender and white freesia. I love, love, love, mini bouquets for the mothers. Give the pin-on and wrist styles corsages to the grandmothers. Vicki styled this table with props from her house and mine. My birch boxes are a personal decor item that I let Vicki borrow. Evan bought them for me last Winter and I could barely let them leave the house. The wedding party was seated at this fabulous king sized table. 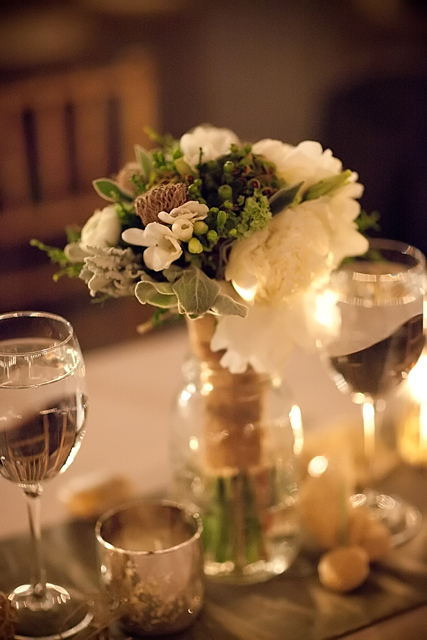 Vases were wrapped with burlap, and designs were created with white freesia, hydrangea, berry, and peony. Maids bouquets were also added to the tables for additional decor. 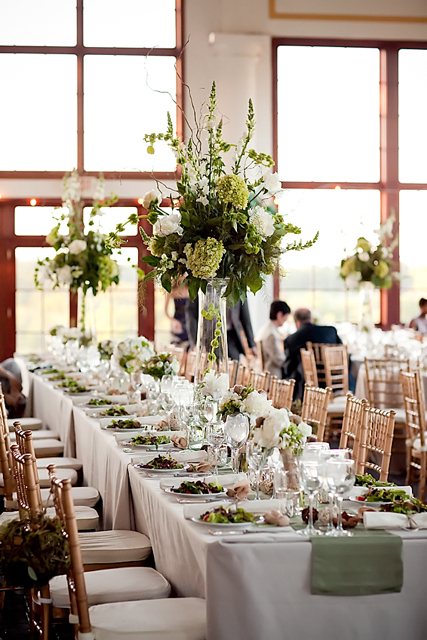 This wedding was stunning! 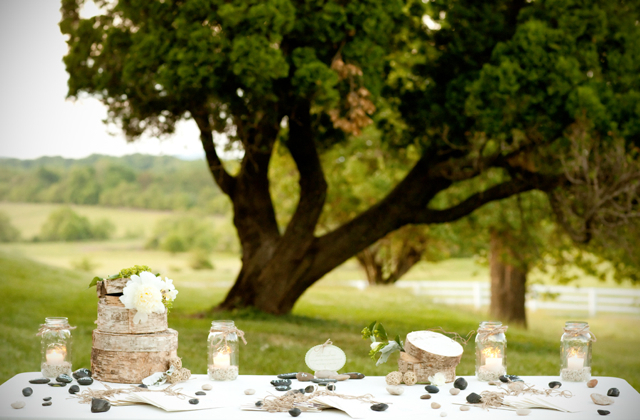 I am so glad I got to work with such a wonderful couple and such wonderful vendors. We are also happy to announce that we get to keep our best of weddings title for 2011 with The Knot. We are seriously kicking some floral you know what. Happy married life Heather and Jon, your wedding was awesome!!!!!! Thanks for all you and your team’s amazing work on this wedding, you rocked it! 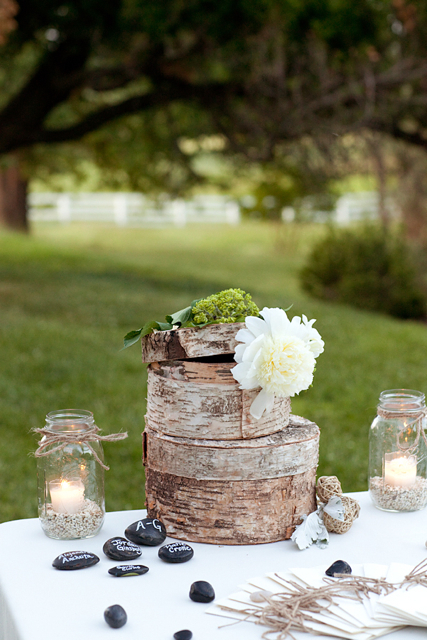 Freakin’ awesome is right- the little burlap bundles were a great solution. Love the whole look.